DeMarco Mechanical is your number one source for all HVAC needs. We offer repairs, maintenance, general check-ups as well as system replacements and installations. We work within the town of Caledon to provide customers with energy efficient heating and air conditioning systems, in accordance with the town’s series of renewable energy projects and incentives. Caledon regularly invests in various renewable energy projects, such as the installation of mounted solar energy panels and the procurement of a geothermal energy system. This allows Caledon to be a forerunner in the creation of a better, greener Canada. With the help of companies such as DeMarco, more and more cities around the country are befitting from new, high-efficiency HVAC and furnace installation. Take your part in the town’s action plan by installing energy efficient heating and air conditioning systems, to make your home or business a more environmentally friendly and sustainable place. 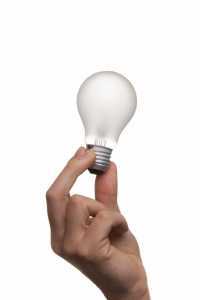 The town of Caledon encourages its citizens to take part in the energy management plan and offers tax incentives and programs to help citizens manage their energy. Take a closer look at these programs through the city’s website. Take a look below to see what DeMarco Mechanical can offer your home and business today. Take advantage of Ontario’s Save-on-Energy program and finance your new, energy efficient heating and air conditioning system with the help of DeMarco Mechanical. You can outfit your home with DeMarco’s energy-saving heating and air conditioning systems, and greatly reduce your home or businesses energy consumption. Our technologically advanced, Energy-Stars certified heating and cooling systems will reduce consumption, guarantee lower monthly bills, and lower your impact on the environment. Take part in Caledon’s initiative by starting with your own home and business. Over the lifespan of your new HVAC system, it will pay for itself many times over. View DeMarco’s stock of high-efficiency Coleman furnaces, Trane AC systems, Mitsubishi HVAC and more for a better idea of what suits your home and consumption needs. Eligibility for Tax Rebates: Installing an energy efficient heating, ventilation and air-conditioning system may qualify you for energy rebates from your local municipality or city. Check your area for more information. High-Quality Products, Installations, and Repairs: Our teams are professional, trained and dedicated, which is why we guarantee the highest standards of service. We are passionate about quality, offering only the top brands and standing behind every installation, repair or other. We offer customers continuous support and a lifetime warranty on all major work. Area Wide Service: We serve all of the Caledon region as well as the rest of the Greater Toronto Area and surrounding regions. Due to our far reach, we can provide our customers with superior services in all corners of Southern Ontario. 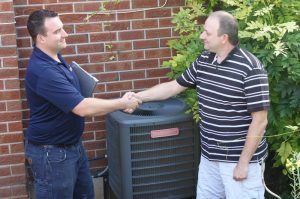 DeMarco Mechanical has served the Greater Toronto Area for many years, offering complete HVAC services and more. We install, maintain repair and replace heating, air-conditioning, ventilation, and air purification systems. DeMarco believes in creating lasting relationships with our customers, which is why we offer a complete set of services, multi-equipment discounts, service contracts, complete warranties on all repairs and installations, and highly competitive rates of service. We are your number one choice for AC service and repair, HVAC contractors, furnace technicians. Trust our years of experience and dedication to the craft, and allow us to find your home or business the best solution for heating and air conditioning. For a free estimate, or to request a visit, please give us a call at (416) 820-9155 or email us at adrian@demarcomechanical.ca. We are always happy to assist you in any way we can. Call us today for the best in furnace installation, repairs, and maintenance in Caledon.